Strange ad from Woolworths (remember them?) in Sinclair User, January 1988. 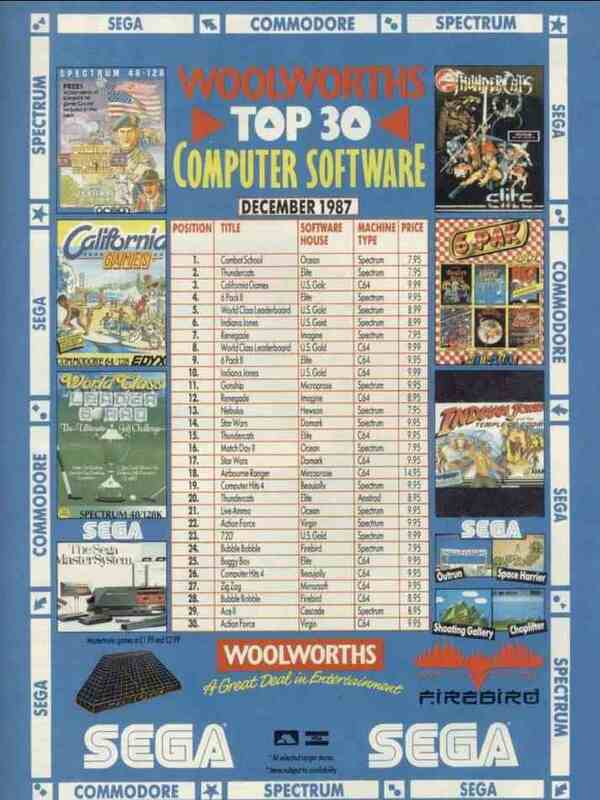 They list only full-price games but name and picture Sega, and have the Mastertronic and Firebird logos at the bottom. Presumably all the software houses featured chipped in for the ad but what was in it for Firebird?